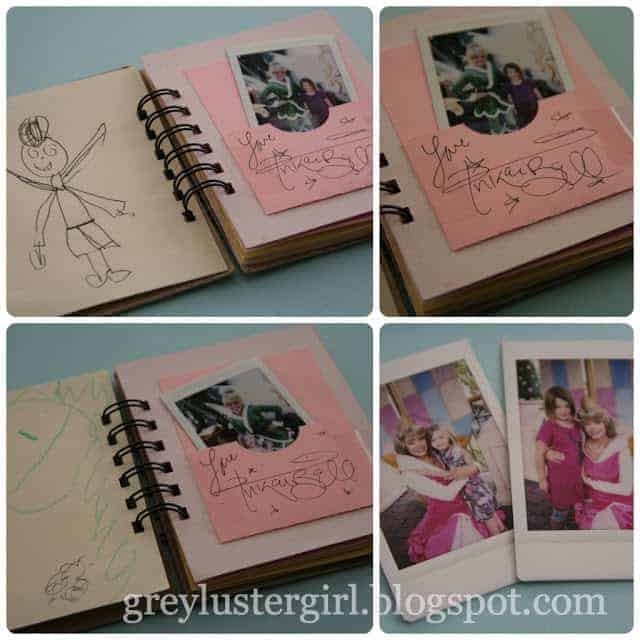 21 Fabulous Disney Autograph Book Ideas for Extra Magic! 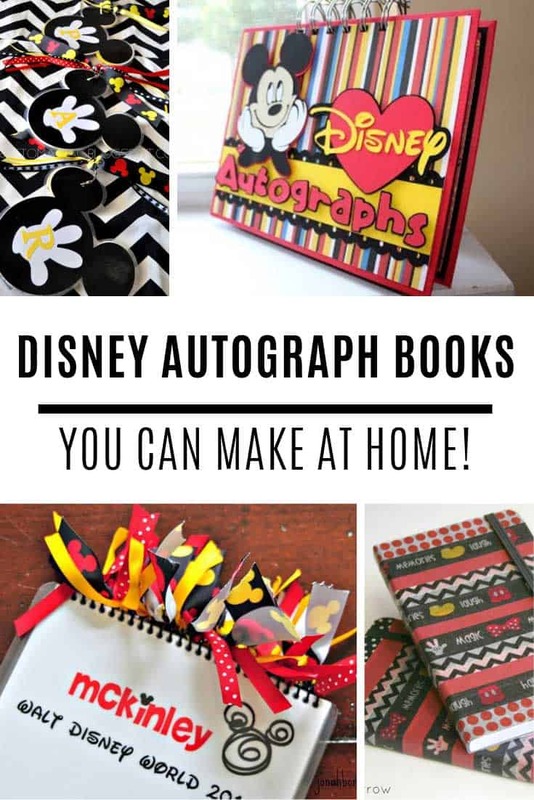 Home > Disney Hacks > Fabulous Disney Autograph Book Ideas for Extra Magic! If your children (or you) want to meet the characters then you’re going to want to make your own Disney autograph book for extra pixie dust! 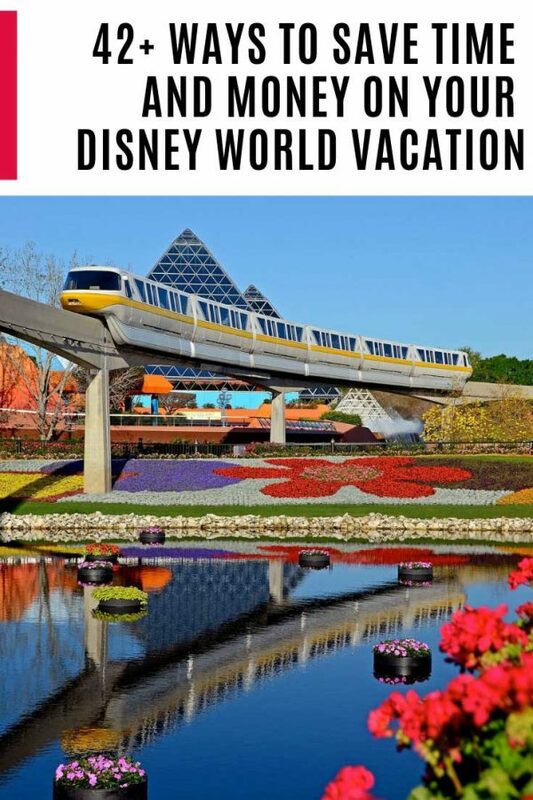 If your Disney World vacation is fast approaching it’s time to start thinking about making a personalised autograph book for each of your children. Sure you can buy one when you get there but they’re pretty dull, and quite expensive, and trust us you get a whole lot more interaction from the characters when you hand over a book you’ve made yourself! We’ve collected up the best autograph book ideas we could find, so all you have to do is browse through, find the one you like and then follow the directions! 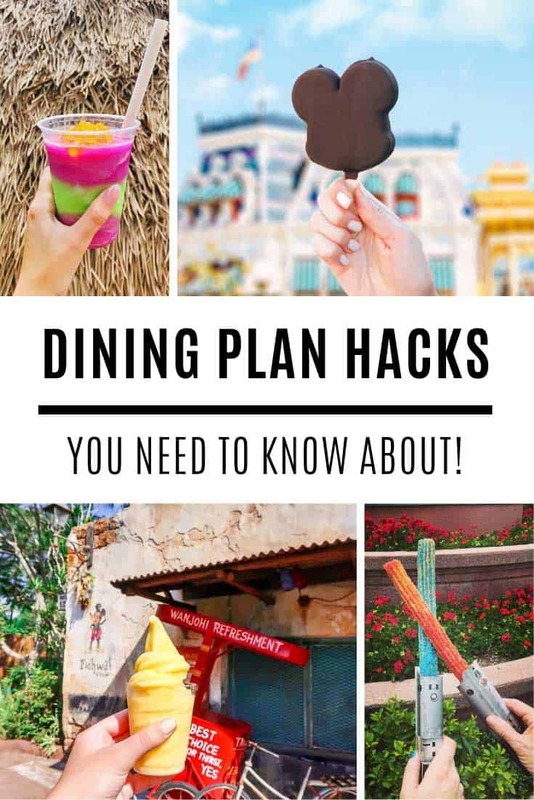 Some of them even have free printables! These are the best pens for autograph books because they’re easy for all the characters to hold and you can’t lose the lids! Sherri made this fabulous autograph book using a stack of cereal boxes, her Cricut and various scrapbooking supplies and stamps. 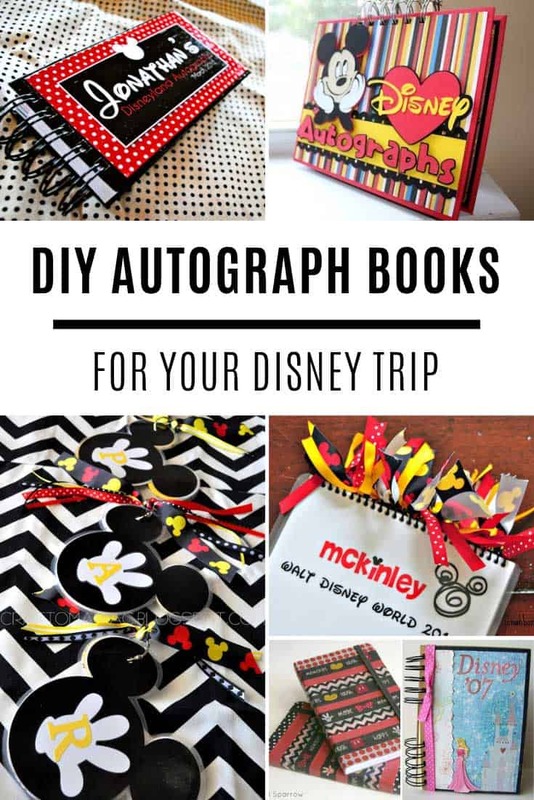 This is a super clever idea for a DIY Disney autograph book especially if you aren’t quite sure which characters you’re going to meet, or you struggle to find time to actually get photos printed after vacation (no guilt – I struggle with that too). Thanks to an instant camera like this one the characters will also get a kick out of seeing the photo of themselves go in the autograph book straight away! 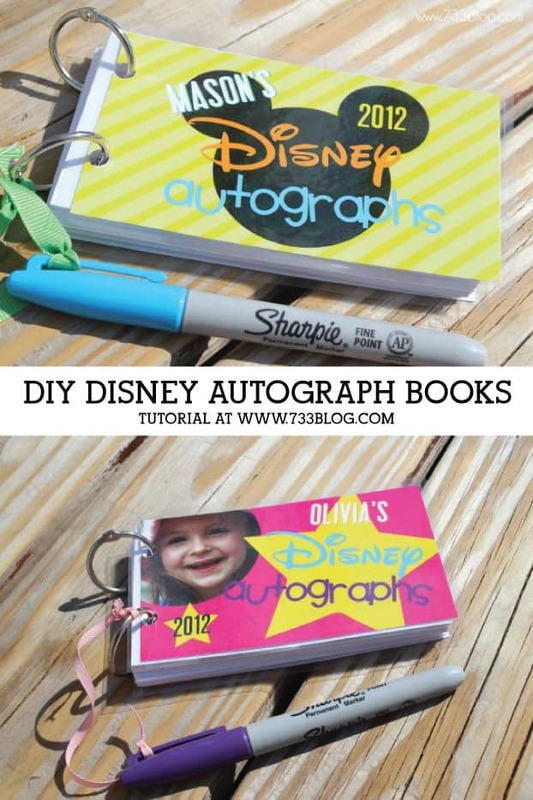 The Easiest Custom Disney Autograph Book Ever! 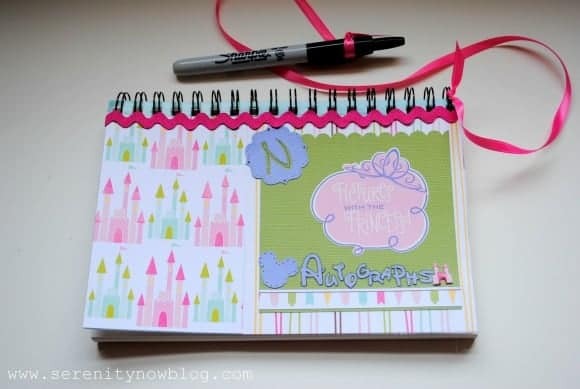 I love this idea because it is super simple, but so different from an off the shelf autograph book. 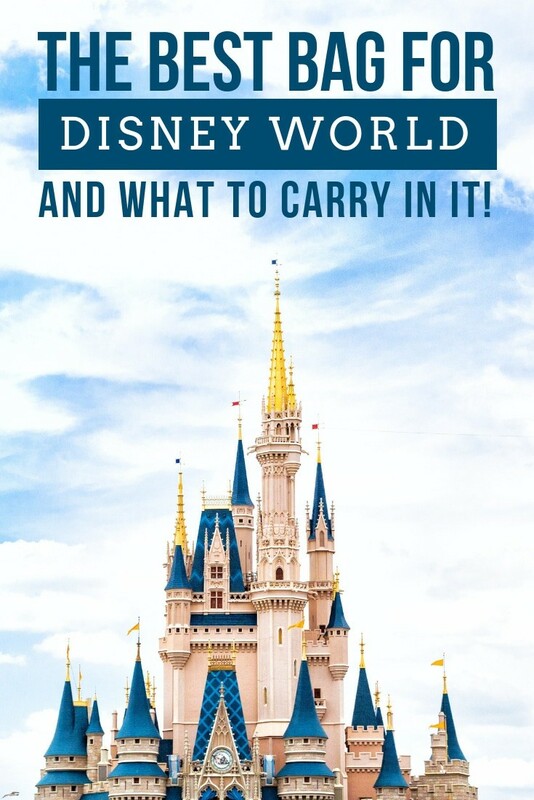 On our last Disney World trip I did see quite a few families handing this book over to the characters to sign. Just beware it’s not the lightest autograph book in the world! 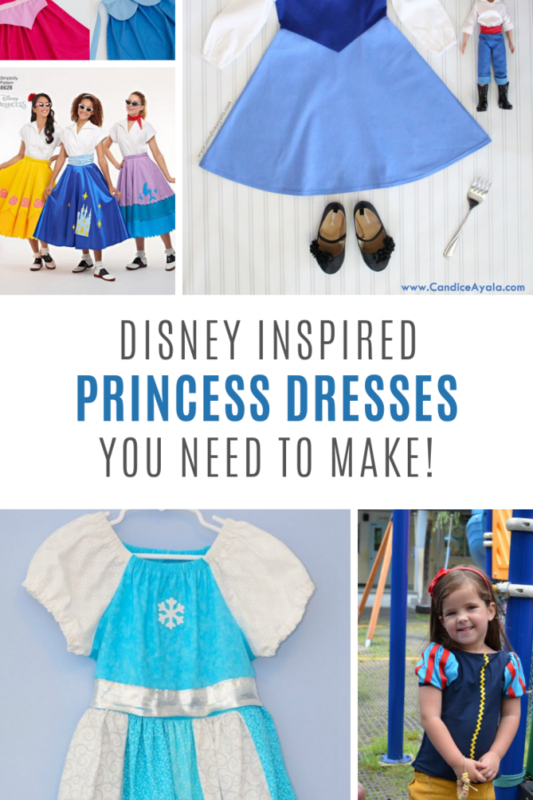 If your child is all about the Disney Princesses you’ll want to take a closer look at this DIY project which shows you how to transform an artist sketch diary into a fabulous autograph book using scrapbooking papers and a Cricut or alphabet stickers! How cute are these personalized autograph books? 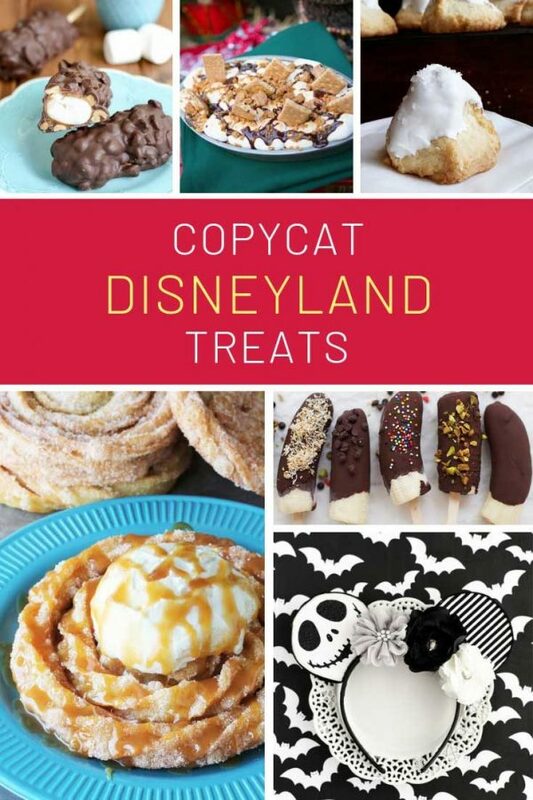 I just love the spots and the Mickey head that just scream Disney! 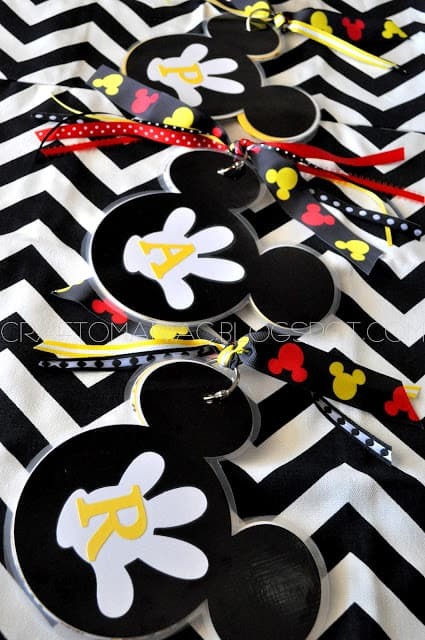 If you can’t figure out your way around a computer program to make these you could just as easily use scrapbook paper and alphabet stickers to get the same effect. Just don’t miss the Mod Podge tips, because you don’t want to ruin your work! 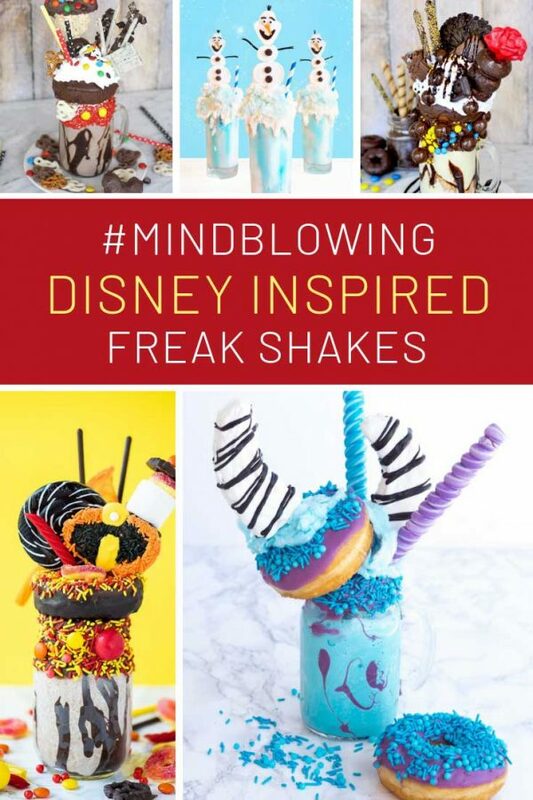 If you are a scrapbooker you should definitely take a closer look at this adorable book because after your trip it can be easily dismantled and the matted autograph pages added to your 12×12 layouts. If you’re not feeling very crafty just print out these free autograph cards on cardstock, grab a sharpie and a ziplock baggie to keep them safe and you’re ready to go autograph collecting! 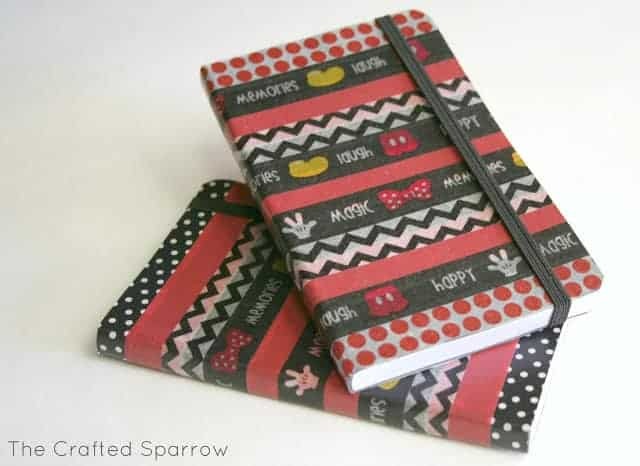 These autograph books are adorable and I love the Mickey ribbons that have been tied through the spiral binding. That’s sure to make your book stand out from the crowd! Find out how to make one yourself here. 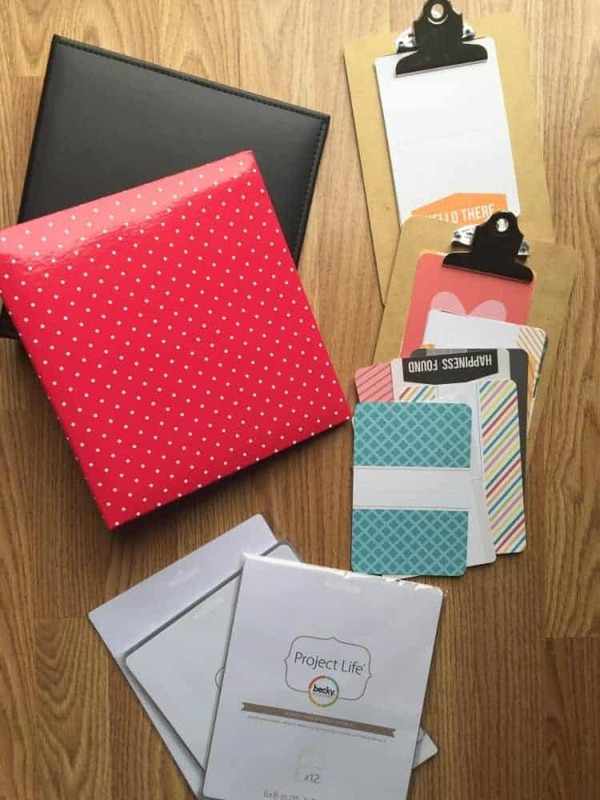 This is a really clever idea if you use Project Life to document your memories. Once you get home you can use the autographed cards alongside printed photos to make a memory book of all the characters you met. Find out how which supplies you need here. 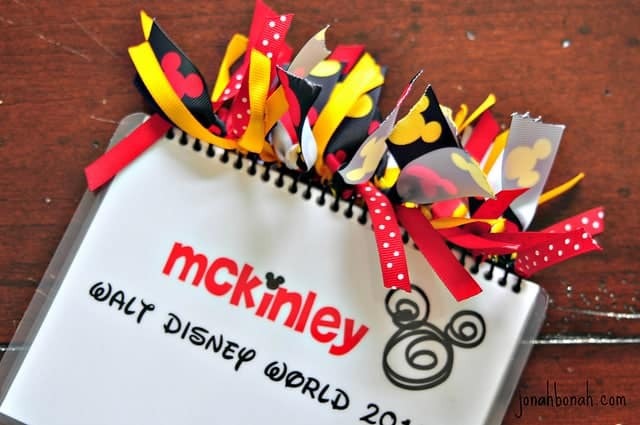 Here’s a great idea for an autograph book you can make using Disney clipart or stickers. I love the idea to laminate the pages to make sure they survive being in your park bag! 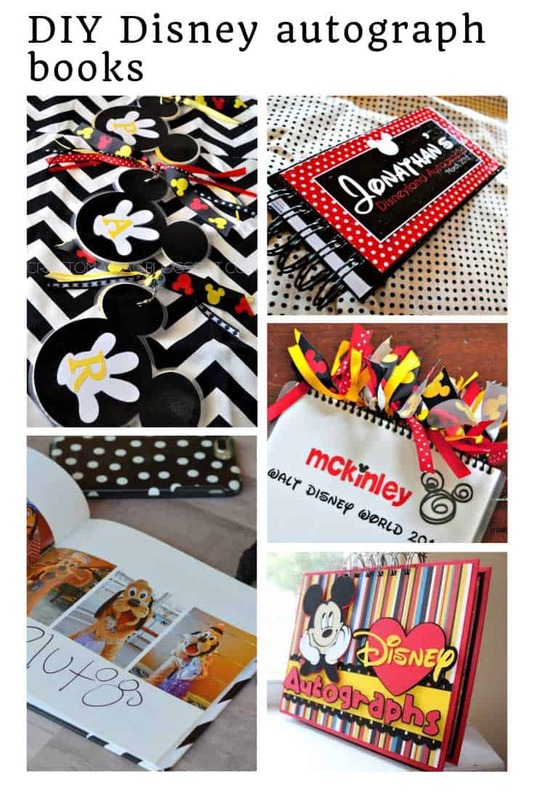 Here’s another idea for making a custom Disney autograph book using scrapbook supplies. I really like the idea of including a pocket in the back to keep momentos like Belle’s bookmark or Sorcerer cards! This is the autograph book project for you if you love a reason to break out your Silhouette machine! I really love the idea of using chipboard to make the pages more sturdy and easier for the characters to sign. Did you know they made Disney patterned Washi tape? Oh yes and in so many cute designs too! 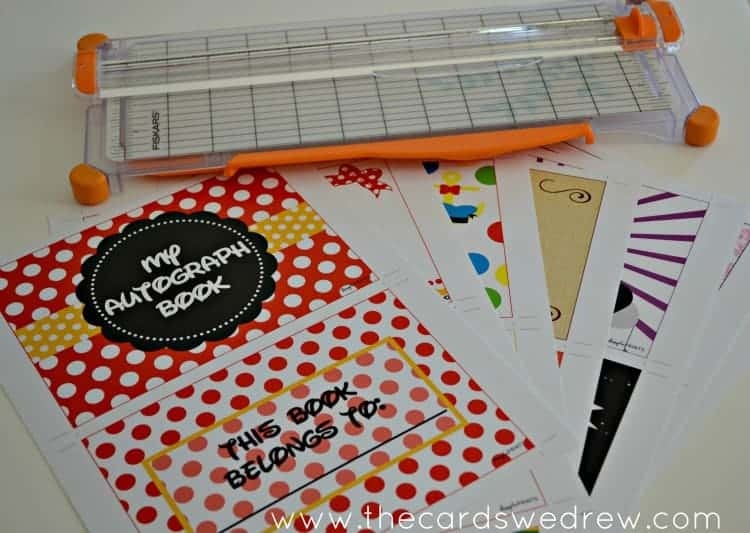 Rebecca had the genius idea to use it to make an autograph book, but there are so many designs to choose from why not go ahead and make a whole stack of notebooks too! How cute is this idea? 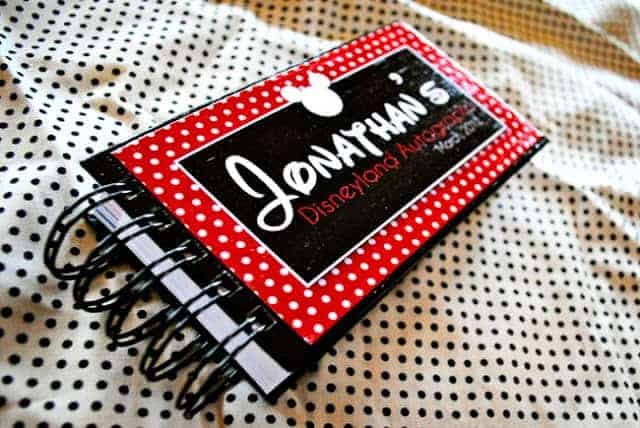 A personalized Disney autograph book that’s shaped like a Mickey Head! It’s helpful if you have a Cricut to cut out the shapes, but you could probably do it with scissors if you were really patient. See how Jennie made hers here. 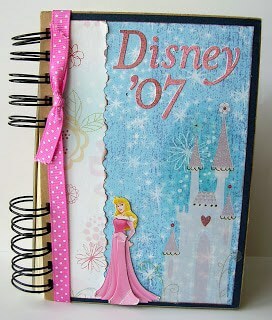 If this is not your first visit to Disney why not make an autograph book using photos from previous trips? I love this idea and think I might actually do it myself for our upcoming trip. 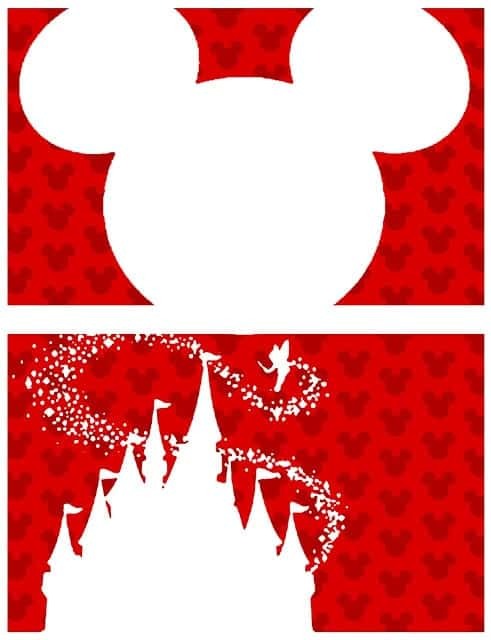 Which Disney Characters Sign Autographs? 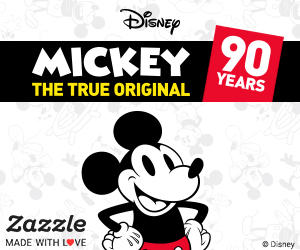 For an up to date list of which Disney World characters are currently signing autographs – and where – visit The Trophy Wifestlye. 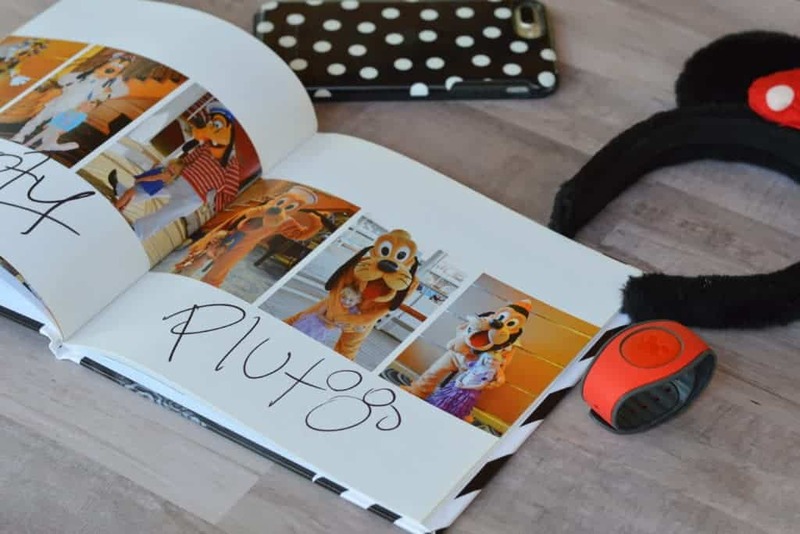 Our experience with a personalized Disney Autograph Book! 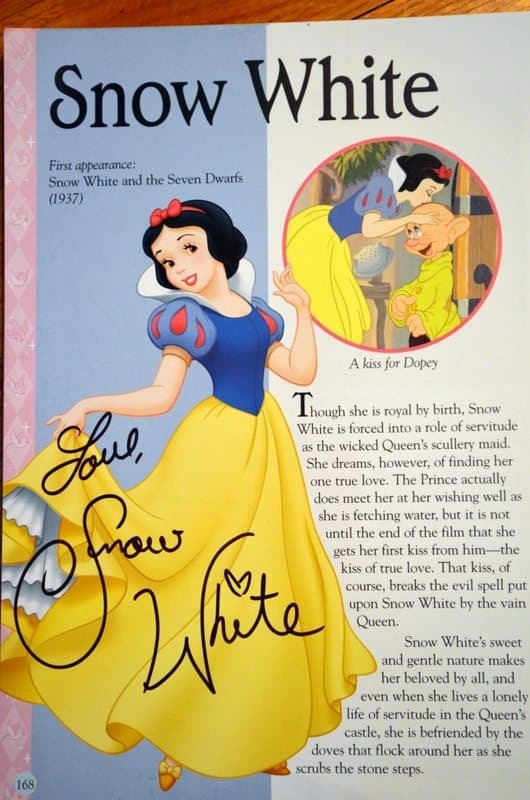 When we travelled to Walt Disney World for our Disney Wedding and Honeymoon in 2005 I decided that I would like to collect some Disney autographs – but wanted something different to the standard book they sell in the parks. I made a list of all of the Disney characters that appear in the parks and then settled down in front of the computer to design a customised page for each of the characters. I used pictures of each character and added quotes from their movies, or lyrics from songs to decorate the pages. After creating a page for each Disney character I printed them out and glued them into a spiral notebook. I glued the images to the right hand pages of the book, leaving the left-hand pages empty to add photographs after the trip. This worked really well; but I think if I were to make another Disney autograph book in the future I would keep the pages loose and use a clipboard to hold them together. That way you can leave signed pages in your hotel room so they won’t get ruined. 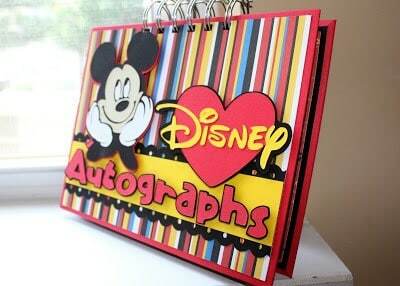 You can then either slip the Disney autographs into a photo album with the photos or use them for scrap booking. When I got to the parks I was quite shy lining up to have my photo taken amongst all of the children in the line – but the characters loved their pages! The page I made for Flik had a picture of Hopper on it and when Flik saw it he put his hands over his eyes in fear and pretended to run away! Friends who printed out the pages to make autograph books for their trips had similar reactions from the characters, and the children all experienced great interactions because of the book. 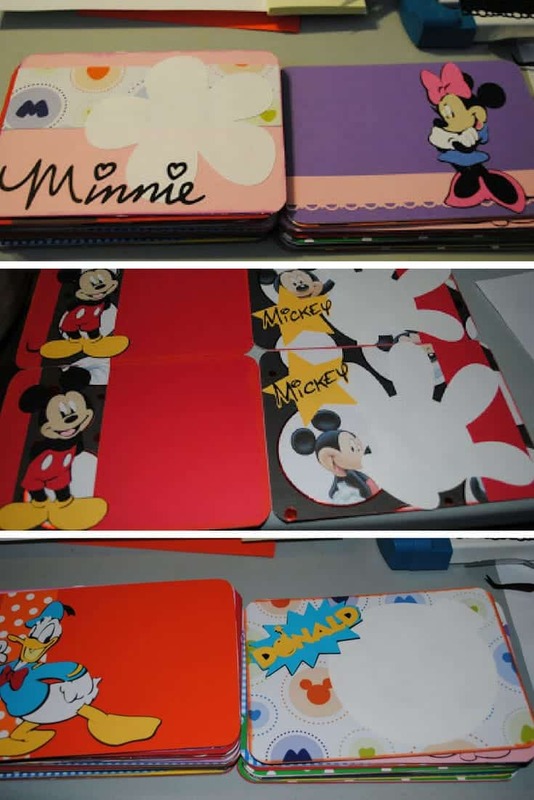 Why not get together with your kids to make some personalised Disney autograph books of your own for your trip; they could draw pictures or their favourite characters, or decorate the pages with stickers. 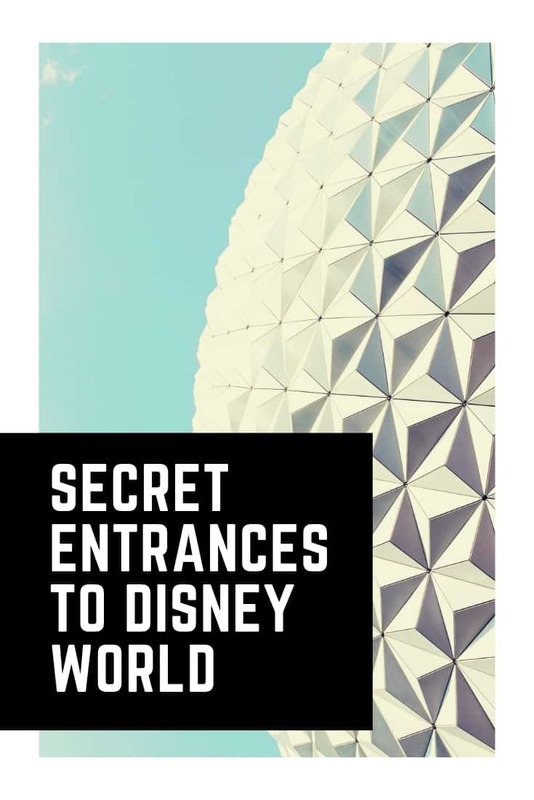 You could even print out some clip art from sites like: Disney Clips or Disney Sites to stick in your book. Feel free to use them to make your own book if you like them!